Paul Pogba has been branded “stupid” for collecting a “beyond damaging” red card in Manchester United’s Champions League defeat to Paris Saint-Germain. Paul Ince was disappointed in the World Cup-winning midfielder, who was sent off late on in a 2-0 loss for the Red Devils which leaves their European aspirations hanging by a thread. Ole Gunnar Solskjaer’s side now have a mountain to climb in the second leg of a heavyweight last-16 encounter, and will make a trip to Parc des Princes on March 6 without their talisman available to them. 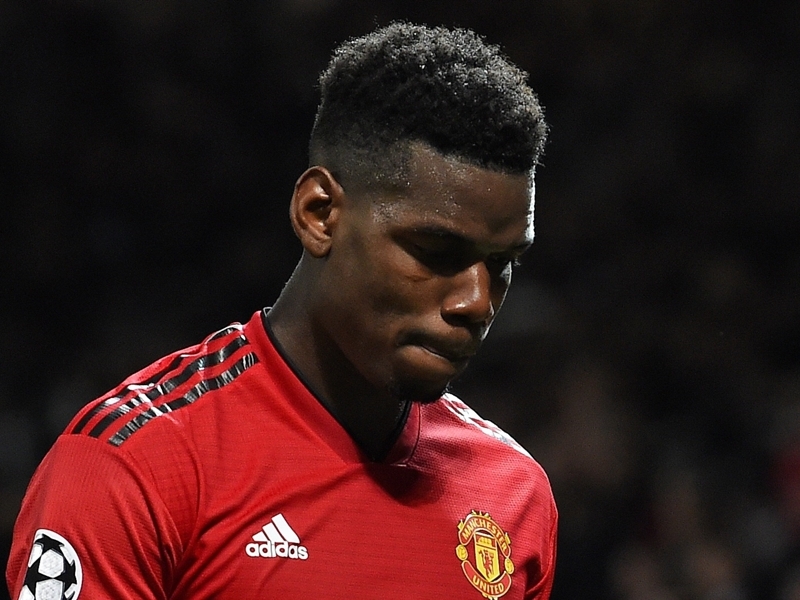 Ince believes Pogba may have cost United any chance of getting back into the tie, with his display against PSG not good enough prior to a reckless challenge on Dani Alves which means his involvement in the competition in 2018-19 could be over. The former Red Devils midfielder told Paddy Power: “Paul Pogba really let himself down against PSG. “Just when he’s won the fans over, and he’s doing everything you expect of a top player, he goes and behaves like that. “I know it’s because he was frustrated at the game, but also it’s because Marquinhos was too good for him, he did a real job on him. “The first yellow card he got was pure petulance – and the second challenge should’ve been a straight red anyway. “I’d say other teams will be taking notes, knowing they too can mark Pogba out of the game. While Pogba, 25, will play no part when United head back to his roots in Paris, there are a number of important fixtures approaching in which he can prove his worth. Solskjaer’s side, who suffered a first reversal under their interim coach, are set to face Chelsea in the FA Cup fifth round on Monday. They will then welcome Liverpool to Old Trafford in their next Premier League outing, with that contest presenting them with a chance to cement a top-four standing and inflict a heavy blow on the title challenge of an arch-rival. Chippa United v Kaizer Chiefs: Can Ernst do better than Komphela in the Nedbank Cup?